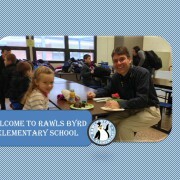 Welcome to Rawls Byrd Elementary School! https://wjccschools.org/ll/wp-content/uploads/sites/12/2015/02/welcome-to-rbes-dwd1.jpg 720 960 Karen Swann http://wjccschools.org/rb/wp-content/uploads/sites/12/2014/05/logo.png Karen Swann2015-02-25 13:21:352015-02-25 13:21:35Welcome to Rawls Byrd Elementary School! 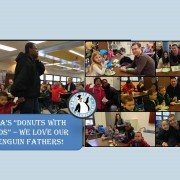 Thanks to all who joined us February 24th for PTA’s Donuts with Dads! https://wjccschools.org/ll/wp-content/uploads/sites/12/2015/02/DOD2.jpg 720 960 Karen Swann http://wjccschools.org/rb/wp-content/uploads/sites/12/2014/05/logo.png Karen Swann2015-02-25 13:20:282015-02-25 13:20:28Thanks to all who joined us February 24th for PTA's Donuts with Dads! 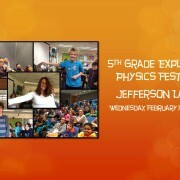 https://wjccschools.org/ll/wp-content/uploads/sites/12/2015/02/DWD3.jpg 720 960 Karen Swann http://wjccschools.org/rb/wp-content/uploads/sites/12/2014/05/logo.png Karen Swann2015-02-25 13:19:242015-02-25 13:19:24Thanks to all who joined us February 24th for PTA's Donuts with Dads! 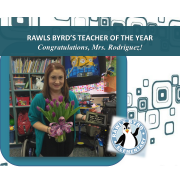 Rawls Byrd’s Teacher of the Year Goes to Mrs. Wanda Rodriguez! https://wjccschools.org/ll/wp-content/uploads/sites/12/2015/02/RBES-TOY-20152.png 720 960 Karen Swann http://wjccschools.org/rb/wp-content/uploads/sites/12/2014/05/logo.png Karen Swann2015-02-11 14:55:182015-02-11 15:14:44Rawls Byrd's Teacher of the Year Goes to Mrs. Wanda Rodriguez! 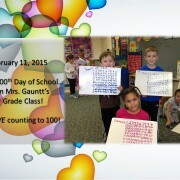 https://wjccschools.org/ll/wp-content/uploads/sites/12/2015/02/100day-gauntt-class.jpg 720 960 Karen Swann http://wjccschools.org/rb/wp-content/uploads/sites/12/2014/05/logo.png Karen Swann2015-02-11 12:52:202015-02-11 12:52:20Happy 100th Day of School! 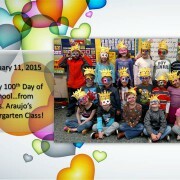 https://wjccschools.org/ll/wp-content/uploads/sites/12/2015/02/100day-araujo-class.jpg 720 960 Karen Swann http://wjccschools.org/rb/wp-content/uploads/sites/12/2014/05/logo.png Karen Swann2015-02-11 12:46:182015-02-11 12:46:18Happy 100th Day of School! 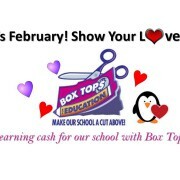 February Box Tops for Education Contest! 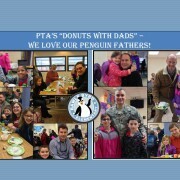 The PTA is sponsoring a Box Tops contest from now until Friday, February 20th. The classroom that submits the most Box Tops will be awarded the Rawls Byrd Box Tops Trophy and a class treat! Please send all Box Tops to school with your child and label any envelopes/baggies with the teacher’s name. Feel free to use the collection sheet that was sent home with students in their Penguin folders. 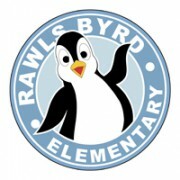 Thanks for supporting Rawls Byrd!!! Questions? Contact Jessica Pruitt at jspruittx2@msn.com. https://wjccschools.org/ll/wp-content/uploads/sites/12/2015/02/February-Box-Tops-Collection.jpg 720 960 Karen Swann http://wjccschools.org/rb/wp-content/uploads/sites/12/2014/05/logo.png Karen Swann2015-02-02 21:31:542015-02-02 21:31:54February Box Tops for Education Contest!